What is a watershed? 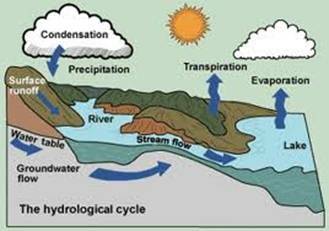 A watershed is an area which acts as a funnel, collecting water and directing it into streams and rivers and then into the ocean, inland lakes or seas. Watersheds vary in size depending on the amount of land area that drains into the water catch basin. Classifying land into watersheds has become a very popular way to approach environmental management. These boundaries define a bioregion with its own set of attributes and challenges. Individuals and groups from within these boundaries have, over time, formed Watershed Associations and Groups that dedicate themselves to the care and protection of their watershed. Prince Edward Island has close to 30 watershed groups that focus on restoration, enhancement and protection of watersheds. 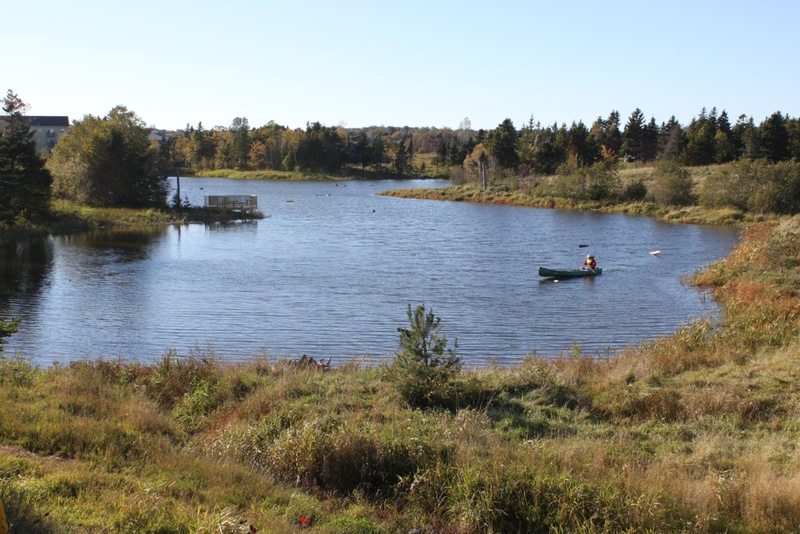 The City of Charlottetown works closely with several watershed groups on projects aimed at improving the watersheds in and around the municipality. The Ellen’s Creek Watershed Group Inc (ECWG) was formed in 2009 and incorporated in 2014. 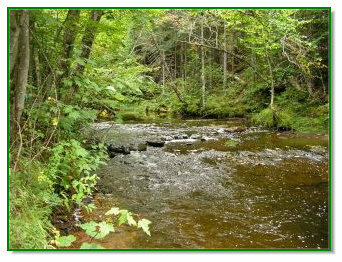 It is one over 20 community-based watershed management groups on PEI which are dedicated to protecting and improving environmental quality on the Island. ECWG is directly responsible for managing Ellen’s Creek, Hermitage Creek and Hazard Creek which are in the Charlottetown neighborhood of West Royalty. Their work is supported through funding from the City of Charlottetown, the Provincial and Federal Governments, and dedicated volunteers. In addition to the restoration work they do in and around in these streams, they sponsor the Brookie Award, an award of excellence to an individual, organization or business demonstrating commitment and leadership in promoting urban watershed health. The Group meets every 6 weeks on Thursday evening at 7:00pm at the West Royalty Community Centre. Check their Ellen's Creeks website to confirm the date. Everyone is welcome. More information on the Ellen’s Creek Watershed Group Inc and the work they do is available on their website at www.ellenscreekwatershed.ca or their Facebook page. You may also contact them directly through email. Wright's Creek watershed is an urban watershed on the east side of Charlottetown positioned between the Charlottetown Airport and the Hillsborough River. St. Peter's Road crosses Wright's Creek at Andrew's Pond, which was formed circa 1800 to power one of the Charlottetown area's earliest industrial sites. The urban development in the watershed in the last several decades has led to heavy siltation and muddy water in the watercourse, especially in Andrew's Pond. The result has been a reduction in the fish population and overall water quality. In the 1950's, Provincial Wildlife Officials claimed that more fish were caught in Andrew's Pond on the first day of the fishing season than in any other pond on PEI! The Wright's Creek Watershed Environmental Committee, formed in 2005, with financial help from the Provincial Watershed Management Fund, the Wildlife Conservation Fund and the City of Charlottetown. To protect Wright’s Creek and Andrew’s Pond from the effects of sediment from storm water and create one of Charlottetown's "go to" areas for nature appreciation, walking trails, boating and fishing. Reduce high levels of storm water flow into the watercourse that wash away stream banks and lead to siltation. The normal flow from springs has been measured to increase 100 times during rain storms. Reduce the silt contained in storm water coming from highways, construction sites and residential and commercial developments. To enhance and protect the populations of wildlife along the watercourse and further encourage ducks and other species of birds and wildlife. To develop a recreational fishing facility at the upper part of Andrew’s Pond (north of St. Peter’s Road). The pond is easily accessible in the whole Charlottetown area by foot, bike, bus etc. There is easy public access from City- owned land and trails along the pond. Large amounts of silt were removed from the pond in 2013 and 2014 and the deeper, cooler water is excellent fish habitat. To construct trails to allow public access for fishing, nature appreciation and recreation. Significant portions of the trails have been built. With the continued cooperation of land owners, and the necessary funding, there is the potential of developing a continuous trail running the full 4 Km length of the watercourse. Over half the trail is already in place. The natural areas along the trail already include spring-fed fresh-water streams, ponds with ducks and fishing, and an extensive salt marsh leading to the Hillsborough River. Charlottetown's water comes from a series of wells located within the Winter River watershed. We share this water source with the residents of the watershed communities who draw on this water using private wells. The Winter River-Tracadie Bay Watershed Association is an active organization that works in areas connected to the Tracadie Bay. They are currently working extensively with their community members and stakeholders to develop a comprehensive Watershed Management Plan that will identify goals and actions for the next 10 years. The Charlottetown Water and Sewer Utility is proud to be a financial sponsor of the work by the Winter River–Tracadie Bay Watershed Association. How does water demand affect the Winter River watershed? There are many people with a shared interest in the waters of Winter River. Charlottetown and Winter River residents depend on this watershed for clean and adequate residential supply. This area is also a popular destination for recreation for hikers, bird-watchers, fishers and anglers. There are also many farms in this area that depend on adequate water for their crops and Tracadie Bay is home to several aquaculture operations that require clean water with consistent water temperatures. Humans aren’t the only ones that depend on the Winter River water source. There is a diverse community of mammals, birds, amphibians and plant life that rely on the groundwater that feeds into its streams, rivers and bay. We all want to be able to enjoy a clean and abundant source of water. That is why it is so important that we use water carefully and make an effort to cut out our water waste.